If you see any cosmetic ad you’ll see the word “exfoliation”. Exfoliation remove the dead skin cells on the surface to give way for new skin. Few topics have such far ranging opinions as exfoliation – some say it causes micro tears while others use the science as an excuse to throw (literal) acids on their face. We’d like to think both are wrong. Before I explain why a moderate exfoliate is so great, let’s take a look at the skin at the microscopic level. New cells are created at the dermis level. 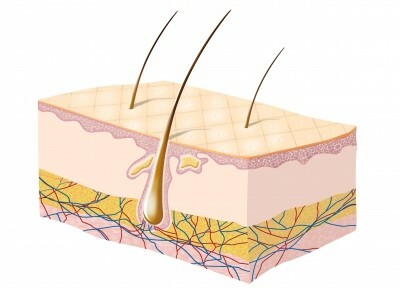 As the cells reach the outer epidermis level, they die. As the body ages so does the process of skin growth. Parts of the skin grow unevenly and you experience dryness and irritation. Exfoliation helps the process of removing this outermost layer. Dead cells can no longer block new ones from surfacing. Pores become unclogged and the skin becomes cleaner overall. Exfoliation causes microscopic tears on the skin and should be avoided – This argument hypothesizes that exfoliation with any sort of roughness should be avoided. They especially bring up the point that crushed nuts or seeds cause microscopic tears as well as any exfoliant using a wash cloth. The problem with this theory is that the skin needs a certain level of roughness to remove the dead skin cells. Softly rubbing fine synthetic grains will exfoliate little. Your skin may even become irritated from these synthetic abrasives. Effective exfoliation should be done with expensive chemical peels or dermabrasions – “No pain, no gain” is what dermatologists say about this procedure. By pain they mean putting acids on your skin so strong that your skin scabs and can takes weeks even months to recover from. The procedure puts patients at risk from everything from scarring to severe infections. All for supposedly slightly tighter skin with fewer blemishes. Yeah, and popping a pimple has a 100% of getting rid of said pimple. Doesn’t mean we’d recommend it. We don’t believe completely destroying your skin in order to rebuild it better is the answer and especially not if it involves killing most of your skin’s good bacteria. Choosing between these two “schools of thought” is like choosing between a fitness program that doesn’t allow you to sweat and a program so tough you can’t move for weeks after the first day. Insanity! We think there’s a reason why people with delicate skin tend to develop the most wrinkles. Their skin is very thin and grows slowly. As their skin scratches it bleeds easily. Extra layers of skin called scars form more easily in these areas. Skin is thin and less adapt to change. You can call this the natural aging process of skin but we think it can be reversed. What did we learn from exercising about the skin? During a hard session at the gym, microscopic muscle fibers are being torn. Once that soreness heals your muscles become stronger.. It’s the natural process called hypertrophy. Not only are they stronger but more durable. Our bodies are all about adaptations and repairing. Exfoliation is no different. You have very sensitive skin? Exfoliate gently and build up. Your skin won’t grow into a dry, calloused mess anymore than you’d turn into a giant bodybuilder by consistently going to the gym. What you will see is the skin becoming stronger. Your body will be healthier and more adapt to change as the lifecycle of your skin is faster. Cuts will health faster. The facial muscles are important to! Another benefit of exfoliating is the massaging action you do to your skin. This invigorates the facial muscles. 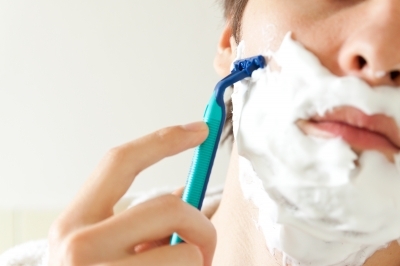 One of the reasons men’s facial skin ages slower than women is the act of shaving. Shaving forces men to use these facial muscles to get every part of the face to elimate the hair. Exfoliation helps but it is a good idea to work these facial muscles daily. To summarize the consequences of not exfoliating I’ll quote my favorite movie The 40 Year Old Virgin: “Is it true if you don’t use it… You’ll lose it?” I think so.